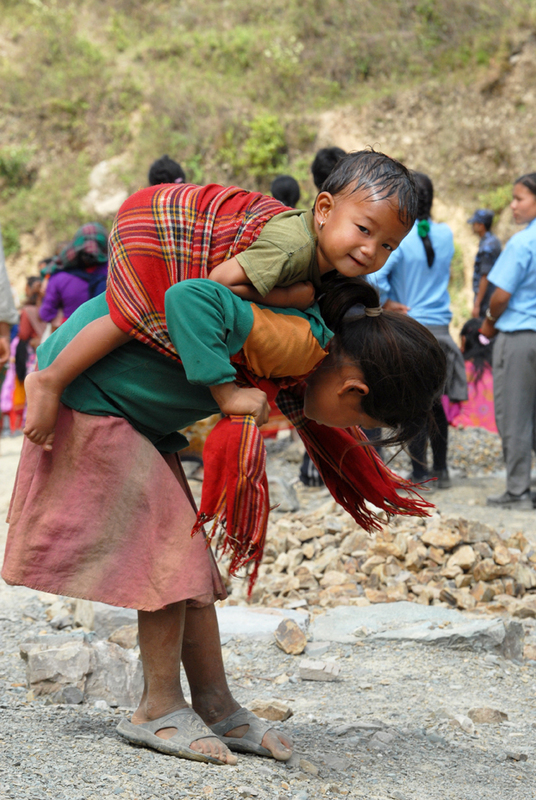 In remote Nepal, especially girl’s childhood is so short. The moment she is able to lift a pot of water on her waist, the fun is over. And to look after younger brothers and sisters became her, another important chore. By the way this picture is not from remote Nepal but from Devi Chaur (Champi), Lalitpur.